As an advanced clinical knowledge development and delivery platform, Plexina streamlines and optimizes the CDS delivery lifecycle to help design efficient care workflows and clinical content to be used at point of care. “We developed our Plexina Platform to help clinicians efficiently collaborate, develop and deliver coordinated care, maximize EHR adoption, and comply with evidence and best-practices,” notes Baluta. 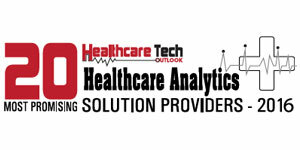 The company offers a comprehensive suite of automation tools to rapidly deliver best-practice CDS tools, whether in the EHR or outside of it, and to assess the clinical effectiveness of care decisions and outcomes. The platform supports the development, deployment, and management of CDS for EHRs, much like software development tools, except clinical knowledge is the software. Plexina is a combination of integrated software tools, a best-practice methodology for CDS delivery, and consulting services for optimizing CDS within clinical operations. “It helps clinicians to design better CDS tools, which in turn helps them make informed care decisions, ultimately improving patient outcomes,” states Baluta. Its major functions support Agile, WYSIWYG design for EHRs, and automated deployment of CDS into EHRs, to cloud web, or to paper. The Plexina Platform also automates quality assurance during deployment across environments, resulting in “a real time deployment of expert clinical knowledge across our enterprise,” touted one client.